Your next stay in Rhodes, is just a click away! 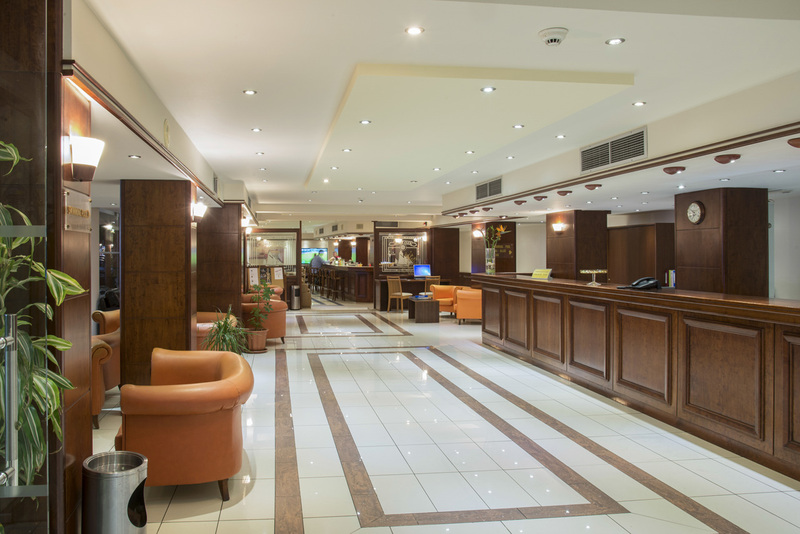 Book now your stay in Rhodes downtown, at Manousos City Hotel, a 3-stars city hotel, with the friendliest hospitality, with the commercial center and all major attractions within walking distance and just 100m from the beach! A spacious lobby area welcomes you, with a 24 hour front desk, leading you to the restaurant, our cocktail bar, the pool and the rooms through our elevators and fully air-conditioned public areas. Your Next Stay in Rhodes is just a click away! Guests under the age of 23 years, are not accepted unless accompanied by a parent. 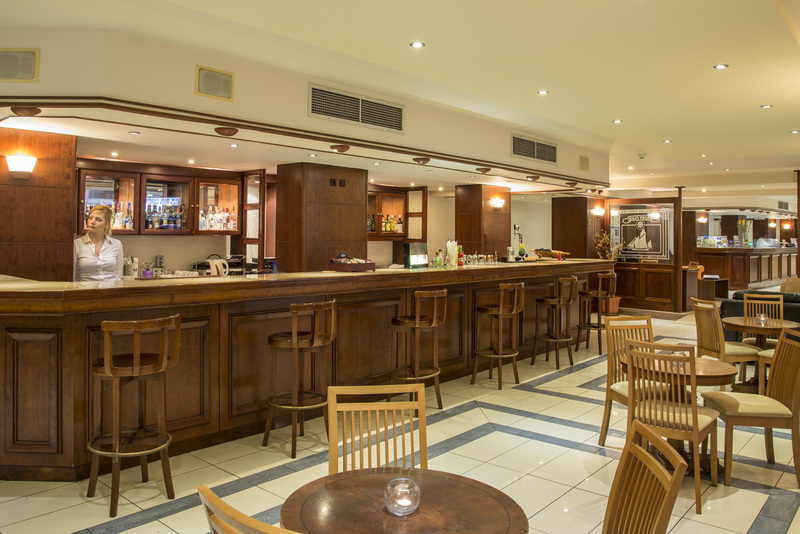 Manousos City Hotel offers a wide range of amenities for your comfortable stay in Rhodes. 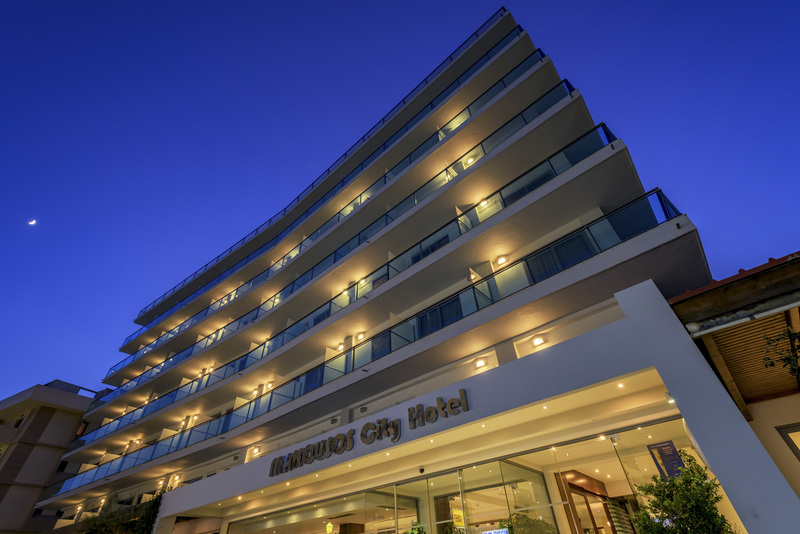 Either for a short weekend, a long vacation or a business trip, Manousos City Hotel offers you what you need, with a smile and the most caring service. Manousos City Hotel is just a few minutes walk from the commercial center and all major attractions of Rhodes. After a relaxing sleep at our comfortable rooms, you can enjoy all that Rhodes has to offer: a visit to the Medieval City of Rhodes, a UNESCO World Heritage Site, the historical center (Mandraki), the shopping areas, the bar street, the beach for sunbathing, swimming or water sports, museums, casino and everything that makes Rhodes an ideal destination. Want to explore the island or reach some more distant sites? Use our in-house rent-a-car service, let us call you a taxi or use the bus station, just 100m from the hotel. Manousos City Hotel features the Gallery Restaurant! A spacious ground-floor restaurant, with natural daylight and easy access, is the beginning of your day with a delicious breakfast at its grand buffet, served 06.45-10.00 a.m.! Lunch and dinner are also among your options. Explore our board packages, including All-Inclusive! 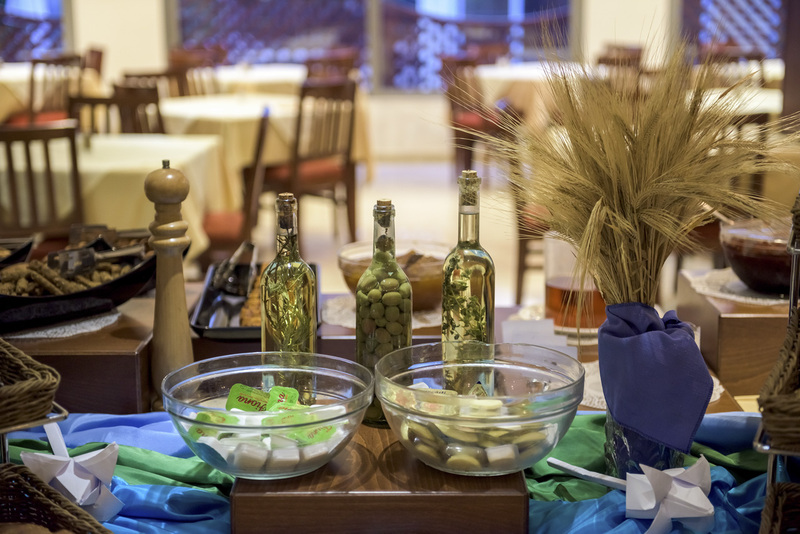 And if you are fond of an after-dinner drink, our Cocktail Bar is just next to our lobby area. 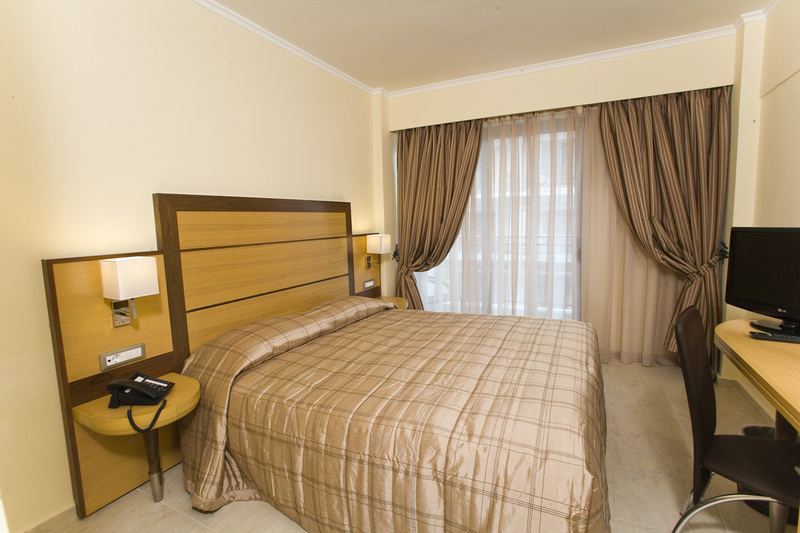 Manousos City Hotel offers 130 comfortable, newly furnished rooms, equipped with a TV, access to high speed Internet, a private balcony and a private bathroom. Rhodes is famous for its sun and sea! Named the Island of Helios, the Sun-God, is no coincidence. A fan of the privacy of a pool or the wide blues of the Aegean? 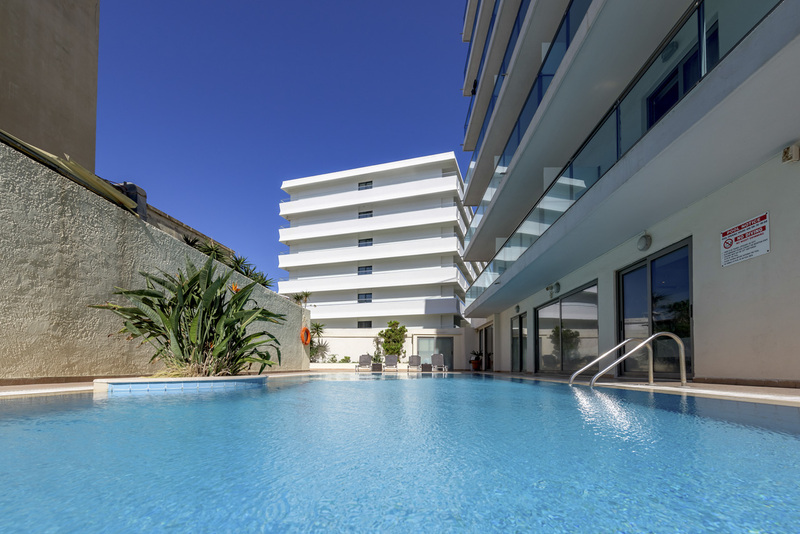 Manousos City Hotel accommodates both, with its wide pool, fit for both swimming and sun-bathing and access to some of the of most popular beaches of Rhodes, just in 3 minutes from the hotel. Manousos City Hotel is open all-year round! Book your next stay with us, now, and get unique offers and the Best Rate Guarantee, from 36€ per night, including breakfast!